I normally do not start my book reviews with the rating, but I need to address this right at the beginning, because I feel that this will give you an idea of how I feel about the book. I have given this book 4.5 stars out of 5. Now, I have my concerns about the whole rating system in the first place, because at times it is very difficult to give a numerical value to how the book made you feel, but that is a post for another day. 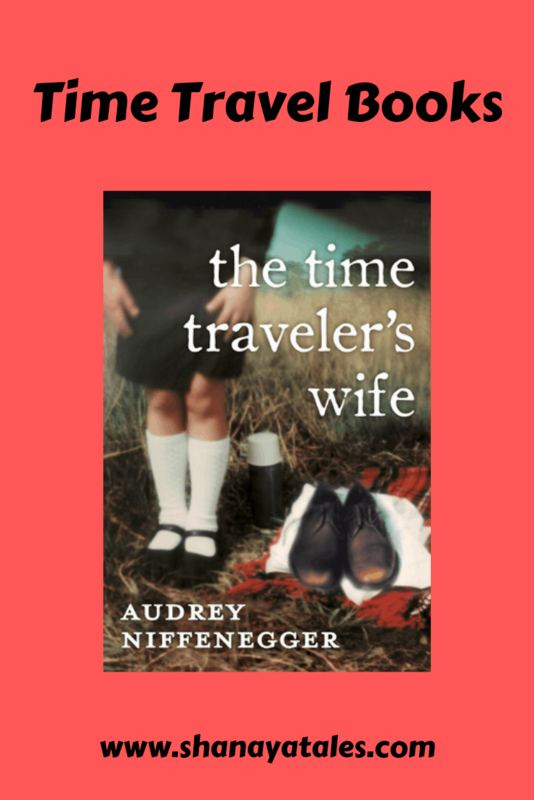 The story is about two people – the time traveler (Henry), and his wife (Clare). On the surface, they are just like any two people who are in love with each other, except for the fact that Henry travels through time. Henry is a CDP (Chrono Displaced Person); he has a genetic disorder that makes him involuntarily travel through time to various points in the past and future of his own life, and inexplicably, to Clare’s childhood. He cannot hold onto any of his possessions when he time travels; which means – no clothes, no food, no money, and goodbye identity! Sometimes he is gone for minutes, sometime for hours, and at times, even for days together. Throughout it all, Clare is at Henry’s side, faithfully waiting for him to return to her, and their life together in the present. I am a self-confessed lover of a linear timeline. Generally speaking, I do not like many flashbacks, and a lot of back and forth between different periods of time. I would attribute this to the OCD part of my brain which loves to track the sequence of events and such. So knowing that, just the above paragraph must have given you an idea of how much trauma this book has caused to my little OCD corner! It was like fixing a puzzle; every time I felt that I got one correct piece at the correct place, 2 other pieces fell off. I had to really focus to figure out the “rules” of time-travel (as performed by Henry), but I worked it out eventually, and by page 150, I had a good handle on it. I felt that the way the author set up the plot movement was ingenious. She managed to create a complex story line without making it impossible to follow. I loved all the foreshadowing. The knowing that something was going to happen, and having an inkling about what it was, but never knowing or understanding fully, until both the protagonists had experienced the moment – that was pretty awesome. I especially loved the foreshadowing that led up to the climax. So once the puzzle pieces started to fall together (in the second half), I really couldn’t put the book down. I think that including the genetic experiments that Henry participated in was a great idea. It brought a sense of realism to the story. Not that there is anything wrong with sci-fi at all, but I liked the portrayal of the situation as a genetic disorder, rather than a black hole in the universe; it made Henry’s time travel seem very plausible. I liked the way the dream sequences were used to describe what was happening to the characters emotionally. I especially connected to that, as I too, get very weird, yet very vivid dreams, depending upon my emotional state. The tedious minutiae of life that the author included is boring to read. The name dropping when it came to Henry’s choice of music; step-by-step descriptions of Clare making art – it was all a bit too much for me. The above point especially bothers me because I feel that the author could have used that space for examining the thoughts and feelings of the characters, which was sadly lacking in some areas. To keep this review spoiler free, I can’t go into details (I will have a book discussion on this up soon), but let it suffice for me to say that I wanted a peek into the minds of the characters at some crucial points in their life. Having said that, the above 2 points did not bother me as much as the ending did. I am extremely conflicted on that. I am at a loss as to what to say without spoiling anything, so let me keep this for the book discussion too, and say that while I would have loved a different ending, at the very least, I needed MORE to this current ending. I loved this book. It’s not perfect, but it made me think, and feel, and want (what more can one ask for?). It’s one of those stories that pulls you into the characters’ lives and leaves you wanting more, mulling over the scenes and premise for days after you’ve reluctantly turned the last page. So I would recommend this book to everyone, in spite of all its faults, this book is an experience NOT to be missed. How do you feel about the concept of time-travel? If you get that as a superpower for a day (with clothes on, unlike Henry 😛 ), would you take it? Tell me, tell me. What are your thoughts on what I have written here? Please do share, if you agree, or even if your opinion differs. I would love to hear a different POV too. P.S. 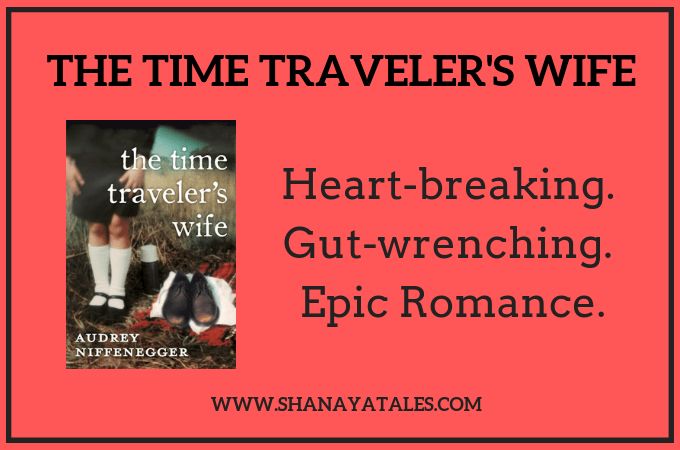 A spoiler-y (I know this is not a word) Book Discussion on The Time Traveler’s Wife is coming up soon. Def appreciate hearing your responses as it’s been sitting on my shelf with others taking priority! I read this book a few years ago and really enjoyed it. Your review makes we want to give it a re-read! Reema D’souza recently posted…Can I confess? I am glad the review made you curious. 🙂 Do let me know how you found it after you have read it. I never read the book but I did watch the movie. A bittersweet tearjerker of a watch. Not sure if I want to try and read it or not. I can see it might be really confusing. I’ve had this on my ‘want to read’ list for ages, Shantala. Thanks for the nudge. Off to get it for myself. You know, I had this book a long time ago but I felt it was too detailed, and somehow the whole thing gave me a headache. Maybe I should give it another go…? Oh Lord!! Why do you keep bringing me to books with interesting stories but not all the time in this world to read them all? In addition, a superb book review like this is definitely going to plunder my already shallow pockets. I agree with you even I do not understand the ratings given to books, for me a book either touches my heart or bores deeper into it. One thing I liked most about living in UK was getting books from the library to read without incurring any expenditure. I love your way of doing reviews. It’s transparent and a reader can relate to it. As far the book goes, I enjoyed reading it. I agree with your synopsis – the way the reader is drawn to the characters – that’s a big achievement for any writer. I haven’t read the book, but remember seeing a preview for the movie and it looked fairly interesting. If given a chance to time travel, I probably would. That’s dangerous, though, because of the capacity to change the future. so maybe not…. Debbie D. recently posted…ALMOST CUT MY HAIR! This book is next on my #ToBeBoughtAndRead lists (I just made that up). But, have heard similar reviews and i just want to read it. You got me curious to read this book !! Was this book published in 2003? I have read raving reviews of it – people say it is one of the best books for travelers to read. Would you agree? Your review has made me want to lay my hands on this book even more. Hopefully I will start reading it in 2015 itself.